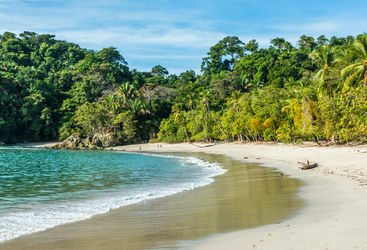 Explore the private Tocori Biological Reserve, the Tocori waterfalls and the beautiful beaches of Manuel Antonio National Park on a riding trip with charming local guide and naturalist Don Gilberto and his family. 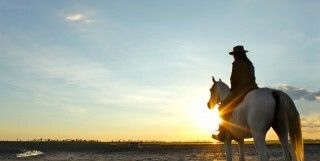 Exploring the region on horseback is the perfect way to cover a good distance, while learning about the local - and in many cases unique, flora and fauna as you go. Some previous riding experience is generally required, but please note this isn't going to be a high octane ride for pros only, rather a gentle walk and occasional trot. Make like a real Tico (Costa Rican) cowboy on a fun and informative ride with Don Gilberto, learning about the region’s wildlife and extraordinary plantlife, including several medicinal herbs, and enjoying Tico treats on route. Will and Kate B are our 'Tocori Waterfalls Riding Tour' experts and as seasoned travellers they have the inside track on the most memorable adventures.